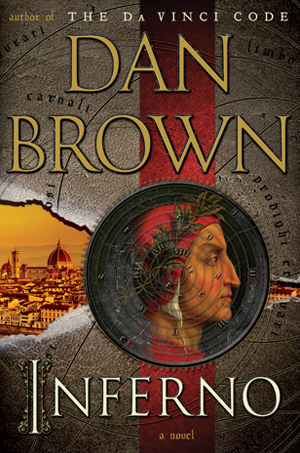 I enjoyed reading Da Vinci Code but if you say that Inferno is predictable and you had to push yourself to finish reading it... I will let it pass. Thank you for writing this review. I was wondering if I need to order it, the sucker that I am for thrillers. I loved Da Vinci code, even Angels and Demons. But yes, the guy does go overboard with his lengthy explanations and prose. Inferno is not predictable..it is more repetitive in terms of the plot and the style of writing. I feel that you should borrow it from someone rather than buying it. I am also a sucker for thrillers but this one is too lengthy and boring in between..and way too expensive. Yes, I too loved the da Vinci code and have been disappointed with his other books. Thanks for the review, Vinita! Well, for me this is was possibly only way I could come across so many information. Dante, his other disciples. In fact I am thank full he wrote is the way he did. He goes in length of explaining these historical things and definitely if somebody is not interested in that, will definitely get bored.